Suggestions: Serve at 16°-18°; a dessert wine ideal with biscuits and cakes or it can also be served as an accompaniment to high-cuisine and gastronomy. Prezzo incredibile su Marsala Fine Ambra D.O.C. 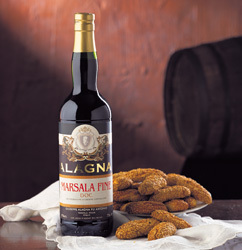 in Marsala (Italia) dall’azienda Alagna vini, srl.